Titanic & Monkey Business. Part 1 of Empathy Series. Empathy is said to be a core tool in user experience. You might even refer to it as “Innovation’s pixie dust.” That makes it seem pretty important, and it is. Because it’s so important, we need to understand what empathy is and how it works. This will provide a context for, and enrichment of, our professional work. What is empathy according to psychology? “Trying to gain weight can often feel like an uphill battle.” — said Sympathy (and almost no one struggling with obesity). “I know it’s not easy to lose weight because I have faced the same problems myself.” — said Empathy. By definition, empathy is the ability to share someone else’s feelings or experiences by imagining what it would be like to be in that person’s situation. Empathy is the what makes movies great and brings in huge box office grosses. If we take the audience’s point of view, it’s what makes so many people react the same way to a movie, like crying their eyes out watching Titanic. 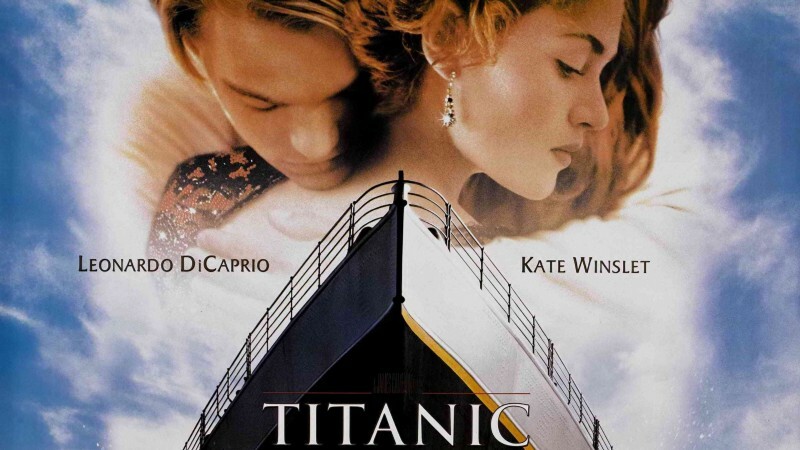 Titanic-like movies trigger the emotional part of empathy, tapping into an emotion that we’ve felt before and allowing us to experience it again in the movie theater. But there is another part of empathy known as “cognitive empathy”. Cognitive empathy helps us understand why people act the way they do. It allows us see things from their perspective. We can often see the results of empathy written in the facial expressions of others. But what is going on behind the scenes? How is empathy manifested physiologically? In the 90s, scientists conducting an experiment involving primates noticed an interesting phenomenon, later defined as a result of mirror neuron activity. Quick description: Monkey is wired to a device. 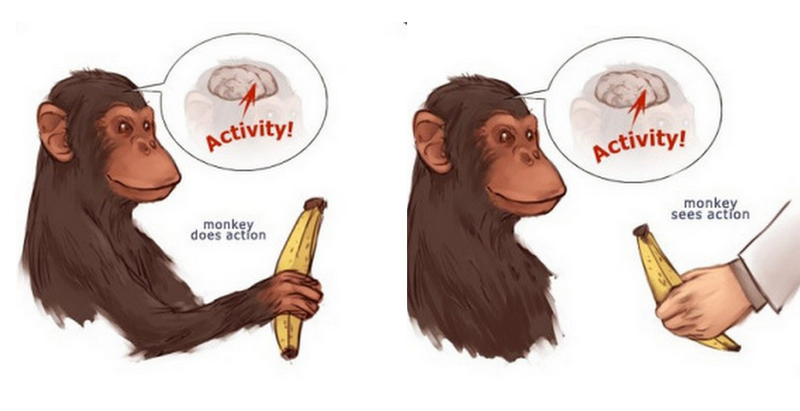 Scientists are observing the firing of certain neurons in its brain while the monkey grabs a banana. At lunchtime, a hungry scientist grabs a banana in sight of the monkey. The device shows that same neurons that fired when the monkey was reaching for the banana fire when the monkey observes the experimenter reaching for the banana. Empathy initially gaining recognition as monkey business. The neurophysiological evidence suggests that the monkey was provided with a vicarious experience — the very definition of empathy. Not surprisingly, mirror neurons are also found in humans, in areas of the brain that account for spatial recognition, control of movement, language processing, touch, and pain processing. While there is certainly more to the physiology of empathy, I am not a specialist in that area and won’t have much more to say about the gooey gray matter that links us with (at a minimum) the rest of the primate world. I do, however, have something to say about empathy and zombies ;-) but you’ll have to wait for my second blog about empathy for that!